POSITION SUMMARY: Reporting to the Manager, the Autism Support Associate is responsible to take the lead to ensure that the day to day support provided to people diagnosed with Autism Spectrum Disorder meet the expectations of those persons supported to enhance his/her quality of life. The support provided must also align with the values of Kerry’s Place Autism Services and meet the goals and expectations of the agency. The Autism Support Associate, as the liaison, leads the team to provide service aimed at maximizing health and safety and personal fulfillment of people diagnosed with ASD. Be familiar with and consistently apply the principles of Kerry’s Place Autism Services: Mission, Vision, Values, Policies and Procedures. 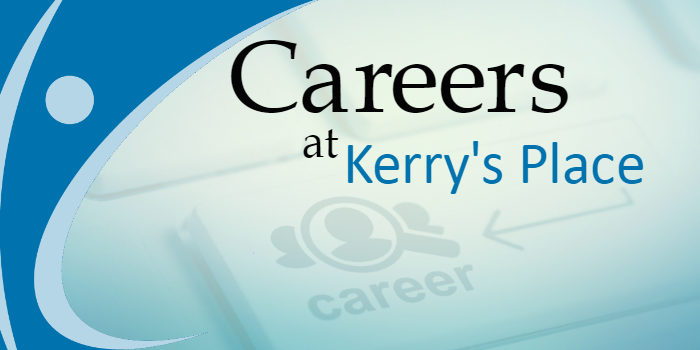 Demonstrate a strong work ethic and act according to Kerry’s Place Autism Services Performance Standards, demonstrating respect for all people. Use creativity and resourcefulness to ensure that the quality of life principles are effectively applied for the people you provide support to. Every effort must be made to enhance and maintain the person’s dignity and respect. Provide solutions to barriers impacting achievement of quality of life. Act as the primary liaison with: family, medical, educational, leisure and recreational contacts. Provide leadership and coaching to other employees to continuously improve the quality of service and the work environment. Ensure Person Centered Planning is effectively implemented and individual’s goals are being realized in a timely way. Provide appropriate supports to ensure the health and safety of the people supported and ensure compliance to Policies and Procedures associated with Health and Safety and Abuse Prevention. Ensure that, where appropriate, Behavioural and Crisis Protocols are documented and consistently practiced. Identify when the support of appropriate professionals are required and enlist these supports. Document and report Incidents and Serious Occurrences immediately. Provide appropriate supports to ensure people supported by Kerry’s Place Autism Services have the knowledge & ability to exercise rights. Ensure accuracy and timely completion of documentation required through legislation and policy and procedures such as: individual’s files, health records, Person Centered Plans, data collection, etc. Ensure appropriate confidentiality is maintained for persons supported, families and other employees. Attend and participate in meetings as directed by your Manager or Residential coordinator such as: team meetings, family meetings, etc. On an ongoing basis, ensure your mandatory training requirements are met and attend any training and development sessions as directed by your Manager or Residential Coordinator. Administer medication according to Kerry’s Place Autism Services Policy and Procedure. Understand the purpose of each medication, the expected effects and maintain vigilance for the potential side effects. The Autism Support Associate may from time to time be called upon by the Manager or Residential Coordinator to perform other duties. Completion of Ontario Secondary School (or equivalent) and 5 years of related experience (preferably supporting people diagnosed with Autism Spectrum Disorder). Solid understanding of Autism Spectrum Disorder and the unique support requirements of people with this diagnosis. Person Centered Planning and Personal Outcomes. Familiarity with applicable legislation and regulations. Working knowledge of computers and software such as: Microsoft Office, Email and the Internet.